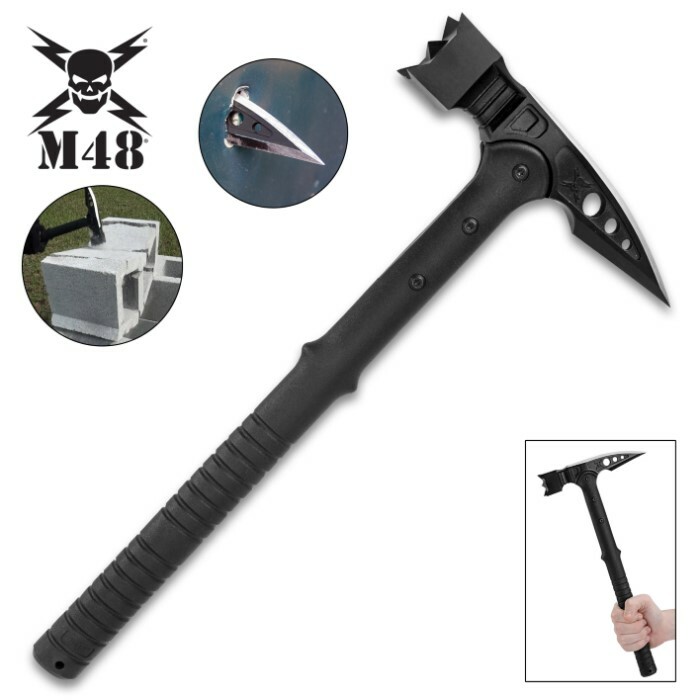 Not designed for driving nails, this anti-riot hammer is engineered for Law Enforcement use. 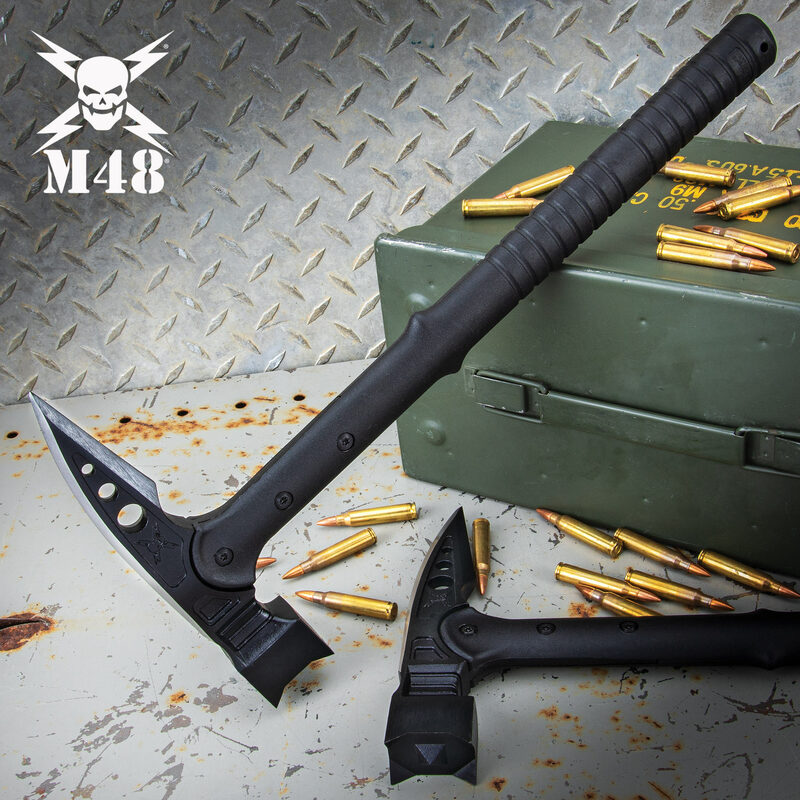 The extra long reach and multi-purpose head make this tactical hammer suitable for self-defense, making entry, containment, survival applications, and much more. 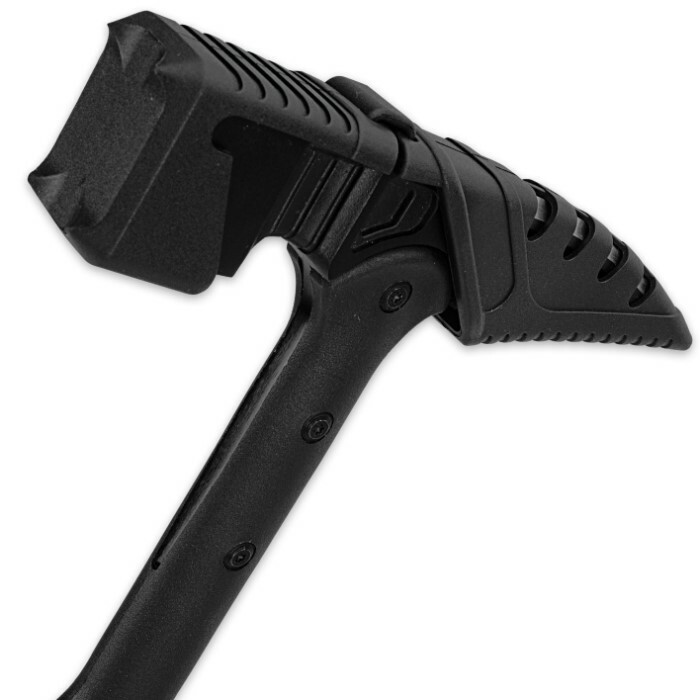 The solid steel hammer head is cast from 2Cr13 stainless steel and finished in black. The head features both multi-spiked impact edge and a thick back spike, and can be used as a handle for walking support. Angry Grandpa’s War Hammer he used to destroy the Nintendo Switch! I can’t wait for it to arrive & add it to my collection! Love AGP! Great weapon, but I had a lapse in judgement, and I used it to smash a cinder block, and the handle broke right below the top screw on the handle. Like I said, top review. Great weapon. I was definitely abusing it, but does anyone know how to repair the handle? Brings out my inner Viking! It's like wielding an oversized roofing hammer with a bad attitude. Well worth it. What a great piece to my collection!! Well worth the money!! Cuz nothing screams "Fudge you" like a solid piece of black coated steel in hammer form with a giant spike on the back of it. Get one. Just get one. Totally worth it. It works as advertised crushes bricks like a boss and punctures like a boss but what I did notice is that the 4 points along the edges have been immediately worn away after just a few strikes. I am sure it will still do the job but though it would retain the points a little better. This is a nice hammer well built and worth every penny! Buy one today and you will see what I mean! Impressive Weapon. 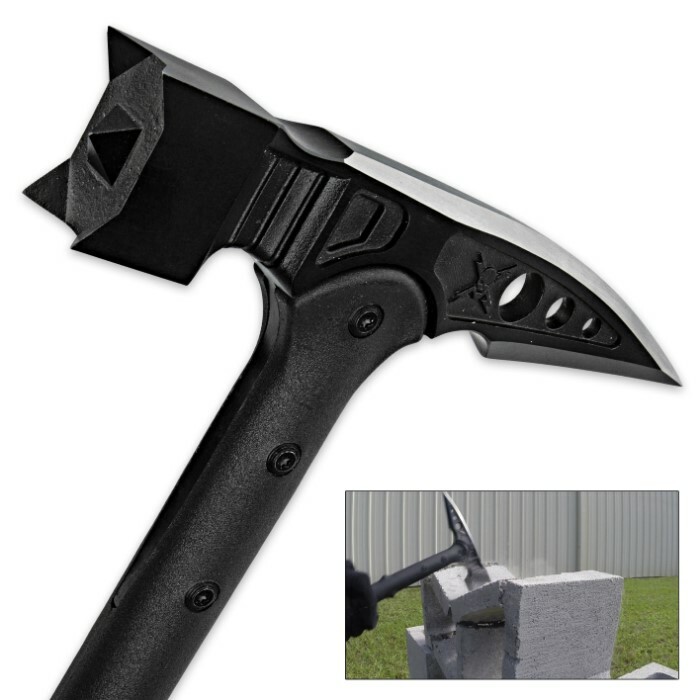 This War Hammer is an excellent product. It is very strong and well built. The design allows for comfortable one-handed use even though the hammer is a nice hefty steel piece. The spike on mine was quite sharp and would certainly penetrate deeply. The hammer end is awesome, with several thick pyramid shaped knobs that give real smashing power to the hammer. Get one, you won't regret it!